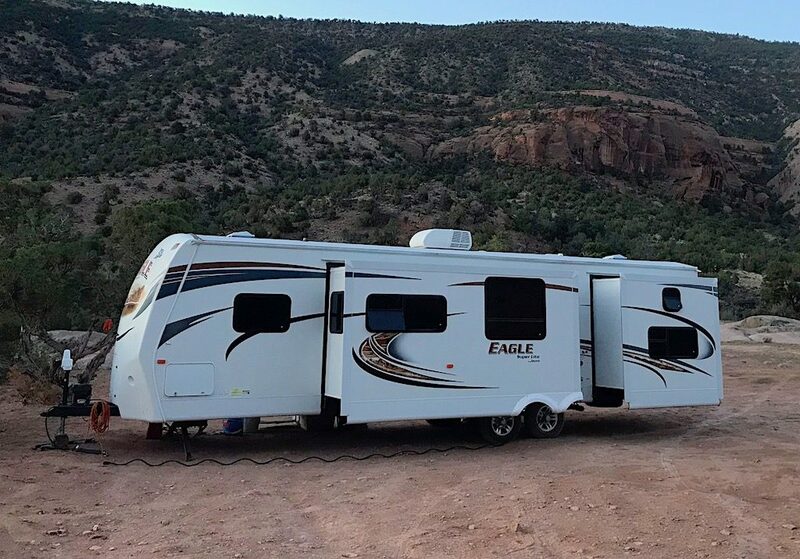 We Chose to Deal in Used Rvs for Sale and Avoid Camping World and RV Dealers – But Did We successfully Buy and Sell on Craigslist and Facebook? A the end of our year of flippin’ campers we learned a lot about how to find and post ads with used RVs for sale. In the last year we went from never imagining ourselves as an RV family to renting one, buying 3 used RVs and selling 2 used RVs for sale. All in less than one year! It started with a tent camping trip with a 4 little kids. We had done plenty of backpacking and tent camping, but doing it with a family of 6 was my limit. We thought we should rent one and see how we like the whole RV thing. So we rented a 31 ft RV in Canada for a week and loved it. (OK so I admit, we did go with an RV dealer that rents.) We came home and decided to start looking for a used RV for sale. One day in the local newspaper was an ad for used fifth wheel for sale really cheap – $3k kind of cheap. We offered cash and went to go pick it up. Here’s how naive we were – we have a 1/2 ton short bed pick up. I thought, I got a truck – just throw in a hitch and we are good to go right? Umm wrong. We ended up borrowing a truck from a friend and moved it to our driveway. Where it hung way out in the street. So, here’s where the story starts to get good. We got fifth wheel that needs a. lot. of. work, a tiny driveway and no way to move it, unless we buy a new truck. Ok so we are thinking we will flip it. We will just clean it up, fix a couple of things and post a great used camper for sale advertisement. Seriously – we got it for $3K and NADA is $14 in perfect condition. I couldn’t wait any longer so I found an old vintage 1974 Prowler camper for sale in Craigslist for $1500. Taking the last of our cash savings. I went to see it. It was clean. And had was avocado green and harvest gold! I begged my husband and “Berta” was ours. She took us on some amazing trips at the end of summer and fall. She even took us up to the Tetons to see the Great American Eclipse. All with my 14 year old doggie. But then the boys took her on a hunting trip on a road that was a little too rough. They shook the wall loose and had to put her up on blocks when they got home. She’s 43 years old after all, you know. This is now fall – not a good time for fixing or selling campers. Our friends moved into their house and stored the fifth wheel for the winter. “Berta” at only 23 feet end to end, stayed in our driveway. Spring came. We borrowed a truck and moved the fifth wheel back to the house. So now we have 2 campers in the driveway, that are both out of commission and neighbors that are losing their patience. Time to get those used RVs for sale ad posted! Its finally time to get the fifth wheel cleaned up and make all that $$$$ from our investment. First thing – the slide didn’t go out. Oh no! Was is mice chewed the wires? Did the motor go out? Charles asked around a little and got right to troubleshooting. He pulled the whole underbelly apart to trace the hydraulic lines. Turns out the motor is accessible in the back and he figured out how to replace the solenoid. Lesson learned. OK crisis averted – back to cleaning and fixing. About a month later we are ready to sell. The ad and pictures go up on Facebook and Craigslist for $7700. Remember we were thinking we would bank off this thing. Right off a low offer for $5k and ….crickets. Fine lets try $7k. A couple people come by but think its too big a project and worry about the body damage. In the meantime, vintage Berta is still with a broken side and sitting at the house too. And we have a camping trip coming up. And Charles is so tired of fixing things he has no energy left to fix poor old broken Berta. New plan – lets work hard to sell the fifth wheel and sell “Berta” the 1974 vintage and get something right for the family of 6. Something small, to be pulled by the 1/2 ton truck, good for RV camping or long trips. Our camping trip to Utah arrives and we have to take tents. So we stop on the way to do some camper shopping at the RV dealer. I warm up to the idea of having something nice and actual beds for everyone. Then….. we camp in tents …with 4 kids…. in 50 deg… and raining for 3 days. If you ever want to convince your spouse to buy a new camper – take note. Still trying to sell 2 used RVs. Remember, We still have a vintage travel trailer and a fifth wheel in the driveway. So new game plan – start dropping the price to get rid of the campers. I am dying to go RV camping and ditch the tents. Fifth wheel $7K crickets, $6500 crickets, $6,000 finally generated interest. We had people come by to look. Anyone who knew anything about campers wouldn’t even make an offer. They knew the outside damage could mean a problem in the frame and the other issues and would be a big project. Others would only do payments for years. But it had to go… like now. I spent hours trying to sell the fifth wheel online and researching RVs for sale ads with the perfect new camper for us. Buying from Craigslist Used RVs for Sale – makes 3 campers . 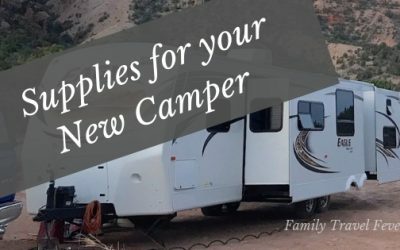 We decided our list of must haves and really wants and started dreaming of RV camping trips. I combed through used RVs for sale ads on facebook, craigslist, rv trader, and searched various models at dealers. A used travel trailer for sale with everything we wanted finally popped up on Craigslist and Charles drove straight to Denver to pick it up. A Jayco bunkhouse travel trailer with room for all of us and grandparents. Only problem was we still had 2 campers in our driveway, frustrated neighbors, no place to park another and no money yet. Time to get serious about posting advertisements in Used RVs for Sale . It became clear the fifth wheel had some major problems. An RV dealer, posing as a private buyer, ended up buying it for $4,500. Had some hired hands come pick it up and take it to his shop. I only found out from these guys that he was a dealer. I am sure he knew if he could cover up the damage, the camper would be worth a lot more. He probably passed it off to some unsuspecting customers. I listed my 1974 Prowler camper for sale on Craigslist and Facebook for $900 with an honest description of all that worked and dry rot so bad the wall was falling off. After the fifth wheel experience, I thought no one would want a truly old broken camper. This time…. my phone blew up. Who knew? A young disabled vet contacted me to buy Berta to live in for a year or more in Colorado mountains. Seriously? He needed a place to live that bad? We decided to just give the camper to him. All I wanted was pictures of the remodel job that he planned. Look for Used RVs for sale ads in the newspaper, on Craigslist, Facebook and RV Trader. You may need to look in a couple of locations in Craigslist and Facebook. I joined a couple of Facebook swap groups and a private used RVs for sale group for my search. I searched the local newspaper for RVs for sale in the classified ads. Dents or damage to the outside may be underlying problem in the frame. Water damage anywhere on the inside is a problem and it has seeped into the walls. Check the corners and inside all the closets. Look for dry rot in older campers. Look in the corners, ceiling and the floor. A wall could shake loose with nothing to attach to. The tires can be deceiving and the seller will tell you the tread is still good. Check the date and condition. The tread might look great but a 15 year old tire will blow as soon as get moving. Look for damage from a blown tires and ask if all have been replaced or just the one that was blown. Climb on the roof and look for damage, condition of the roof and seals. Ask when it was last resealed. Roofs need releasing and its a big job. Check everything to make sure it works. From watching how others went through the fifth wheel with a fine tooth comb. I learned a lot about buying used campers for sale from private parties. Thanks to everyone who came out and taught me how to shop for a camper! Make sure all water, electricity and gas work. The fridge and freezer may need to be plugged in overnight to work. Check for cracks in the bathroom and kitchen and the condition of the seals. Climb up the ladder on the back and check the roof. When you are posting a camper soar sale keep in mind, the NADA value might be a guide but its only worth what someone will pay. If you have a popular model – like the new bunkhouse we just bought- and lots of buyers – a city like Denver – and a good price – it will go quickly. If you have a beat up old fifth wheel hours and hours from the nearest city – it could sit for a while. Fifth wheels are not an impulse buy because of the special equipment involved. Anyone interested in a fifth wheel knows what they are doing or will take weeks to get their truck prepared. Contrary to what the guys at Camping World will tell you, unless your an RV dealer, avoid thinking of your RV as an investment. We thought we could buy and flip. When we were looking on the RV sale lots, the dealers for new campers kept trying to sell the idea of an RV is an investment. But you know – very few people actually make money buying and selling campers. Most lose a ton of money. I am happy to got a good education for relatively little loss. Try selling in current condition to get an idea of the problems that people will care about. Fix those and then re-list. We spent a lot of time and energy cleaning and decorating the fifth wheel before posting the for sale ad but when it came to selling the buys mostly cared about the body damage. Even if we fixed the damage we would have still been honest about it but at least we would have saved a lot of trouble in decorating. Were we Successful Dealing in Used RV for Sale without an RV Dealer? We learned a lot. An you know – experience is the best teacher. We have a lot less cash than we imagined, hours and hours that went into our …..learning experience, and a payment from financing a way bigger travel trailer than we originally wanted. And another test to strengthen our marriage. And although we tried to avoid Camping World and RV dealers we did end up selling to an RV dealer. A shady kind of dealer that made me want to avoid dealers in the first place. We did shop at some RV dealers who were very knowledgeable and honest. And although we found our new travel trailer for sale on Craigslist, the seller turned out to be a used car and RV dealer too. He was upfront an honest about it and was very, very fair. I noticed that our camper has a Camping World sticker on the side, so it was originally from there. And the 1974 Prowler Berta, well we successfully gave her away on a Facebook Classified group specific to used RVs for Sale. So I can’t really say we made money there. So far we are happy and can’t wait to take the new camper out! And yes my doggie is now senile, 15years but still with us. Watch for our RV camping adventures in our new travel trailer. Now the most important question: what should we call her?? A list of supplies to ensure a safer and more enjoyable RV camping experience. This list covers the necessary equipment for the tow vehicle as well as RV supplies. Colorado offers opportunity for fun, free activities all year round so if you are asking “What to do in Colorado for free? This is for you. 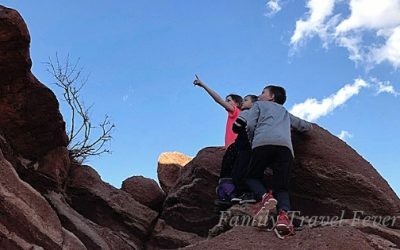 As locals, we love Colorado for the many unique and cheap activities to do with families. 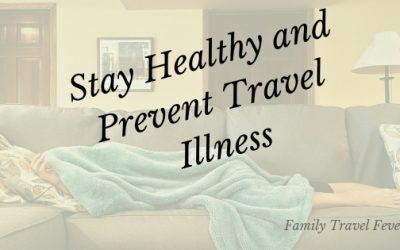 How to stay healthy and avoid travel-related fever and illness. Precautions to take against getting sick with infectious diseases, how to stay healthy and what to do if you become ill.